Hello there! 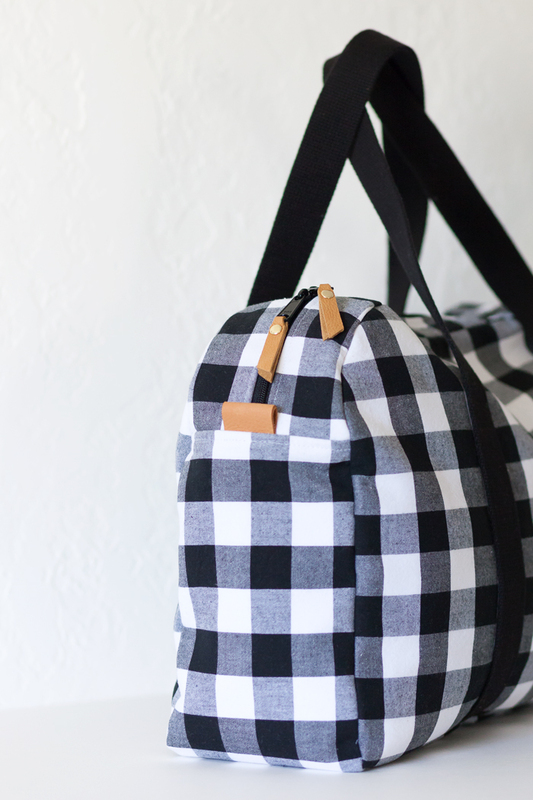 Today I'm sharing this duffle bag I made using a pattern by Virginia of Gingercake Patterns. I've known Virginia for many years now and have actually met her in person. We got to spend some time hanging out in Atlanta on two occasions and I had a wonderful time getting to know her a little better. 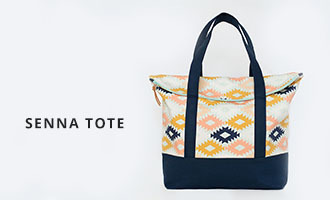 I'm excited to be part of her series and had fun putting this bag together. 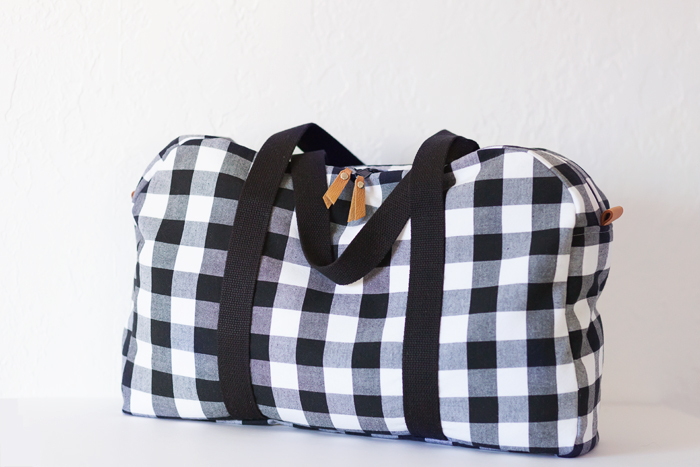 The duffle bag - known as the Make Your Getaway Duffle - comes in two sizes of which I chose the smaller. I've made this bag a few times over the years, like this J Crew inspired color blocked version here. I still use that bag as my camera bag but I may have to swap it out for this new one! If I can't make myself part with it, that is. This duffle came together pretty quickly but I do have to admit that it is still waiting on a lining. 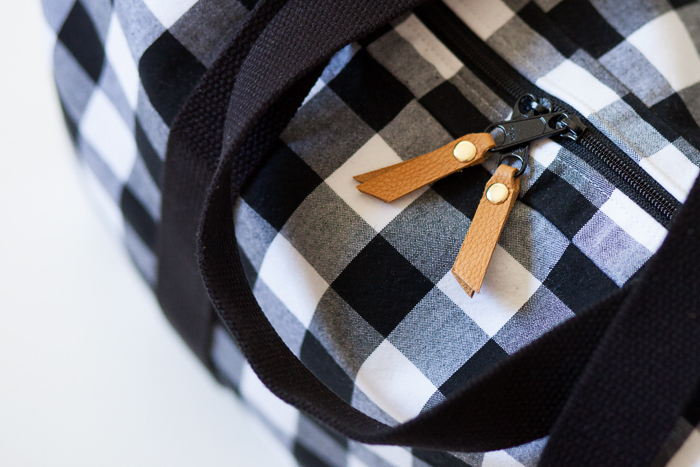 I used this awesome large scale black + white gingham fabric I've had in my stash for ages along with cotton webbing for the straps. To break up the black and white a bit, I added some leather tabs and zipper pulls. Instead of using batting and quilting as the pattern directions call for, I used Shapeflex fusible interfacing and a layer of cotton canvas as interlining to sturdy up the outer fabric. I think this particular pattern is perfect as a blank slate and really lends itself well to customization. 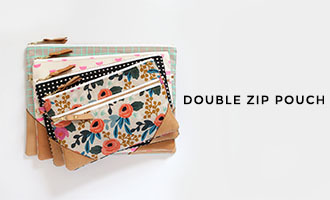 It would be great for sewing up some gifts for both the kids and adults on your list. If you'd like to give this pattern a try, leave a comment below for a chance to win a copy for yourself! Winner will be chosen randomly. Giveaway is open to everyone. Ends Wednesday, December 7, 2016. Also, ake sure to stop by the Gingercake blog for a chance to win a great prize bundle including patterns from my shop, a pattern from Sew Can She, fabric, and more. Love! 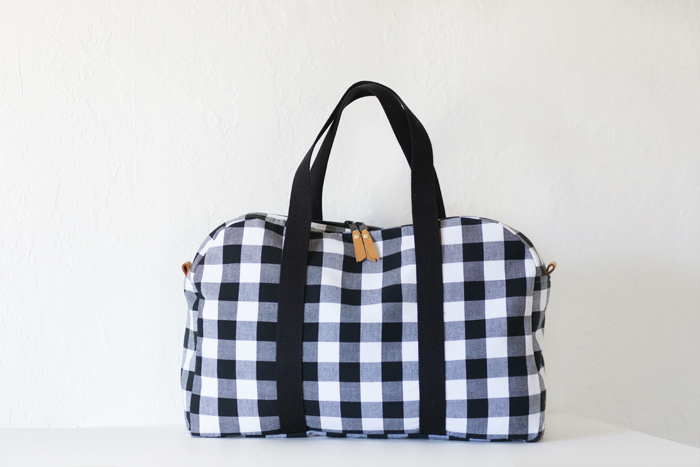 I need a new weekend travel bag, and this would be perfect! I love this bag! It would make a great travel handmade bag. The color blocked version is one I pinned a while ago. About time I make one! Love your duffle, beautiful !! I'd love to make this duffle with leather!! I LOVE this bag! Love your choices of fabrics and notions! This would be a fun challenge to make! Love the duffle. It would be fun to personalize for family members. I love the gingham fabric choice!! I need to make my daughters some weekend bags! 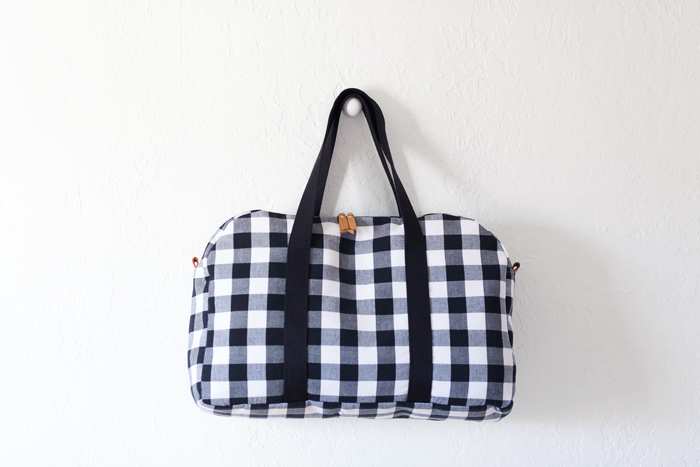 How amazing does this look in the gingham?! Gorgeous!